Black Hebrew Israelites is one of the most searched terms on equip.org and something that you’ve probably been exposed to, whether you realize it or not. 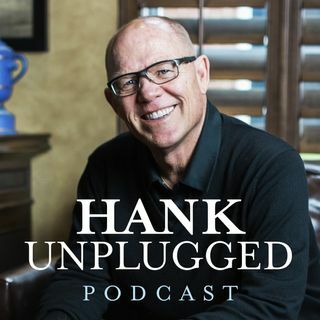 Vocab Malone joins Hank on this episode of the Hank Unplugged podcast to discuss Black Hebrew Israelites, urban apologetics, and being equipped with essential Christian doctrine. We hope you enjoy the energy, information, and insights from Vocab Malone as much as we did! Topics discussed include: background on urban apologetics (2:00); ... See More Israel United in Christ—IUIC (3:20); Kendrick Lamar, DAMN, and the Black Hebrew Israelite movement (4:25); Vocab Malone’s background in Christian hip hop and urban apologetics (5:30); the interest in Black Hebrew Israelism and some variations (10:00); background on the Black Hebrew Israelite movement (14:30); false eschatological interpretations and arguments and the need to be equipped for apologetics (19:25); why Black Hebrew Israelite beliefs might be appealing to some (22:15); how Black Hebrew Israelite beliefs are disseminated through YouTube (26:30); the belief that God is a racist (30:45); Black Hebrew Israelites borrowing from “Satan’s greatest hits” (33:45); Black Hebrew Israelite One West Camp and the belief in polygyny, one man with many women (37:30); Fake Hebrew (39:30); the impact of bad theology on music and culture (41:10); changing attitudes about Black Hebrew Israelites (45:20); Black Hebrew Israelism as a theodicy (46:10); Vocab Malone’s desire to reflect the glory of God through his work and practice (48:05); the importance of knowing your audience when practicing apologetics (49:45); Vocab’s conviction to minister to Muslims (56:00); Barack Obama vs. Black Hebrew Israelites (59:00); violence in urban apologetics (1:04:00); First Arabic Baptist Church (1:07:00); the need to become equipped with essential Christian doctrine (1:09:00); and how seeing Hank speak in Phoenix led to Vocab going to seminary (1:17:45).